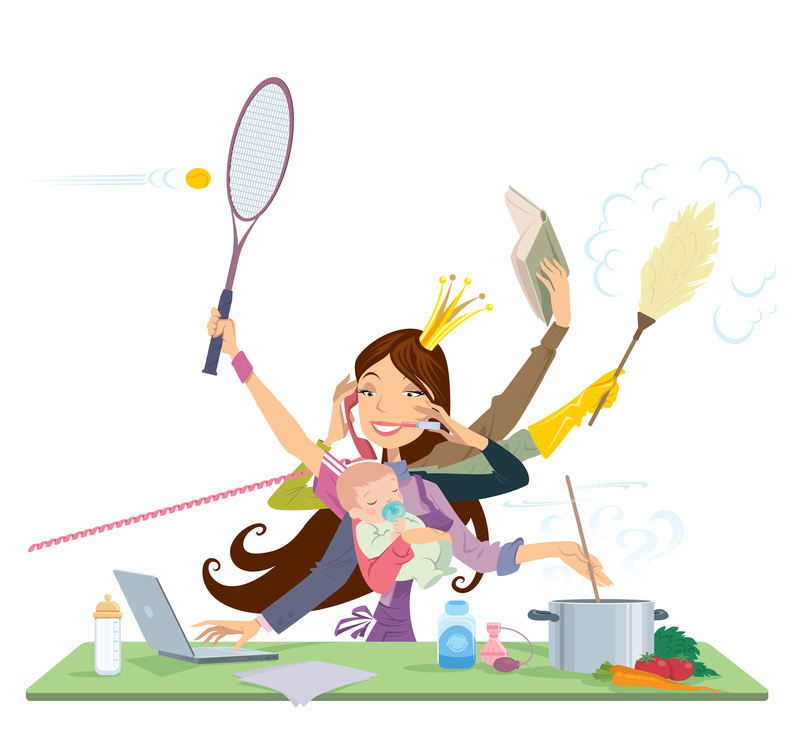 Are you planning an easter egg hunt for your kids? Are you looking for a creative way for your kids to find their easter eggs that prevents everyone from fighting over eggs? 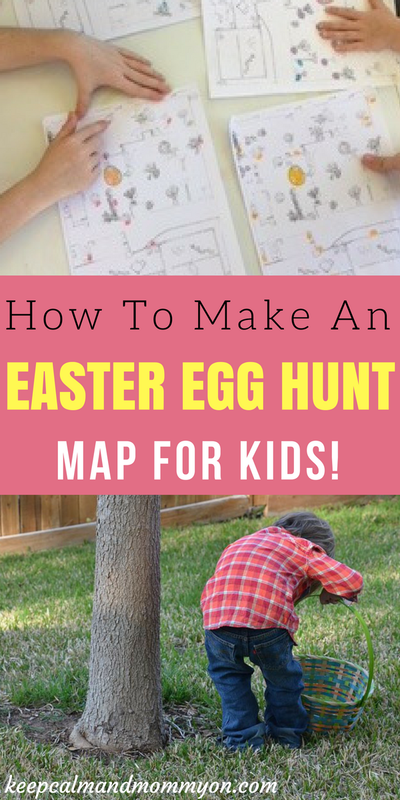 Then make your own easter egg hunt map for each of your kids! 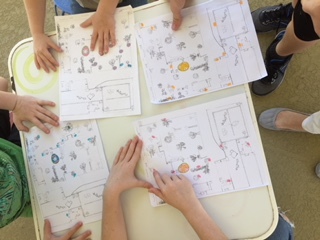 Making your own easter egg hunt map is a great way to allow kids of all ages to hunt eggs together! Each child gets their own map with eggs that are hidden specifically for them. This way, older kid’s eggs can be hidden harder than eggs for younger kids. And then you don’t have to worry about the older kids finding the easy eggs before the little ones can! Everyone has their own map that will lead them to their own eggs! This is a great way to encourage concentration and teaches kids the basics of map reading! Here is what one of our maps looked like. Ours are a map of my parent’s yard, which is kind of large. You can make your map of whatever area you are planning on having your easter egg hunt in. 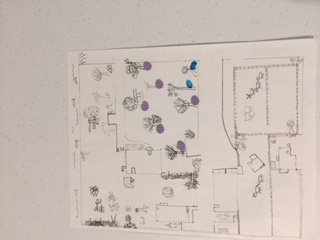 The map shows where all of the buildings are, as well as trees, hedges, the tree house etc. The pink dots on the map show where each of that particular child’s eggs are hidden. The big easter egg sticker shows where the grand prize is located. That is the last stop that they will make on their easter egg hunt! 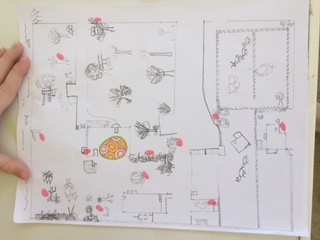 Each child’s map is made with different color egg dots to represent that child’s eggs. As you can see from the above example, one map was drawn and then copies were made. Then each child’s eggs were drawn on each individual map. The older kids eggs were harder to find. The older kids were also given a range. For example their eggs might be somewhere within five to 10 feet of where it is shown on the map. The little kids had easier to find eggs. As well as less eggs to find. This map is the map my four year old used to find her eggs. I love this for all ages because it helps to teach them how to start reading maps! 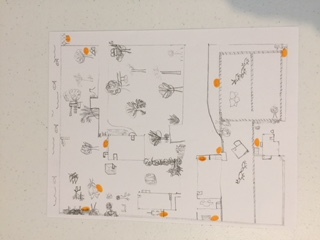 Even though this is a basic map of the yard, it still makes them think instead of just blindly running around searching for eggs. 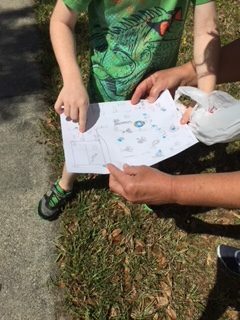 My kids absolutely LOVED having their own personalized maps! And I love that while searching for their eggs they weren’t all bunched up looking in the same spot for eggs! There was no fighting over eggs. Everyone followed his or her own map to find their own eggs. They felt like they were on a treasure hunt! What kid doesn’t love adventure and treasure hunts?! 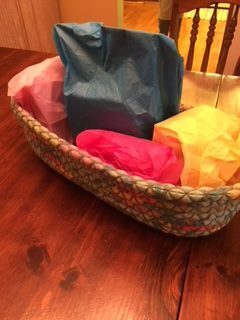 We ended our hunt in the dining room with tissue wrapped special easter gifts! I think it’s safe to say that this will be a yearly easter tradition in my family! The kids had a blast and we had a blast watching them! 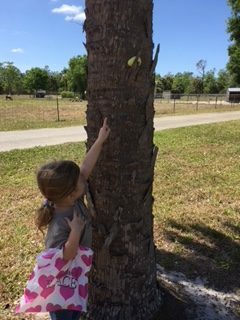 I hope this easter egg hunt idea is as much fun for your family as it was for mine! « 10 Must-Try Easter Crafts For Kids!